At Reeves we install reliable home comfort systems such as American Standard products. As a green company, Reeves recommends a high efficiency Furnace/heat pump/boiler replacements not only to reduce green house gas emissions but to also increase your comfort level. You’re probably familiar with the name. In the 1880s, American Standard pioneered clean and affordable heating for the home. From the earliest cast-iron radiators to today’s highly efficient heating and cooling systems, the American Standard Heating & Air Conditioning brand has been synonymous with home comfort.American Standard furnaces can range from 80 percent up to 95 percent efficiency. You can order your perfect furnace with single stage or two stage options. American Standard also has a GE electronically controlled variable speed motor to optimize your comfort level in your home. If you’re looking for the best comfort level on the market in your home, American Standard has a fully modulating furnace. 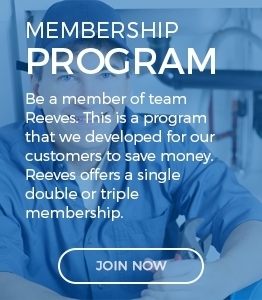 Here at Reeves we feel it is our obligation to offer our customers the best quality products that we possibly can. That’s why we choose American Standard. American Standard knows you’re concerned about warranty’s, that’s why they decided to offer a ten year extended warranty on all parts and labor. Reeves wants you to be cool on those hot summer days. That’s why we choose American Standard comfort products. American Standard makes it their mission to produce the most efficient and comfortable air conditioner on the market. They do this so you don’t have to. American Standard has been on block for more than 130 years. We feel that with our professional installation and American Standards quality products you are sure to be satisfied.American Standard offers a wide range of air conditioners. This can range from a 20 seer ratting to a 13 seer ratting. American Standard also has a two stage cooling feature to offer to our customers the maximum comfort level. Reeves has a large stock of parts to service all major brands of units in case of a emergency.